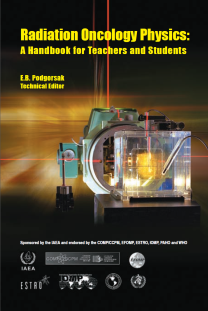 The IAEA has published “Radiation Oncology Physics: a handbook for teachers and students” aiming at providing the minimum level of knowledge expected of a medical physicist specializing in radiation therapy. As a complement to the publication, a set of slides following closely the material in the book has been developed. The slides are designed to be useful to IAEA experts, as teaching material during training events, for students engaged in self-directed studies and for teachers and other interested professionals. Please, let us know if you discover any errors in the handbook or slides, or if you have suggestions as to the appropriateness of the content or its level. Please, respond in writing to dosimetry@iaea.org.